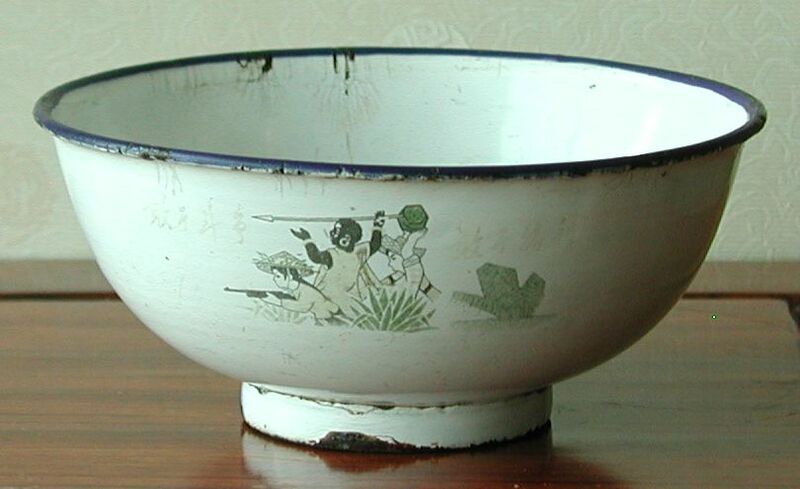 This is a nice bowl with a very interesting scene - a group of fighters including a black African. This of course fits into the belief that revolution would spread world wide. On either side of the scene is says 'Dare to Struggle and Dare to Win'. 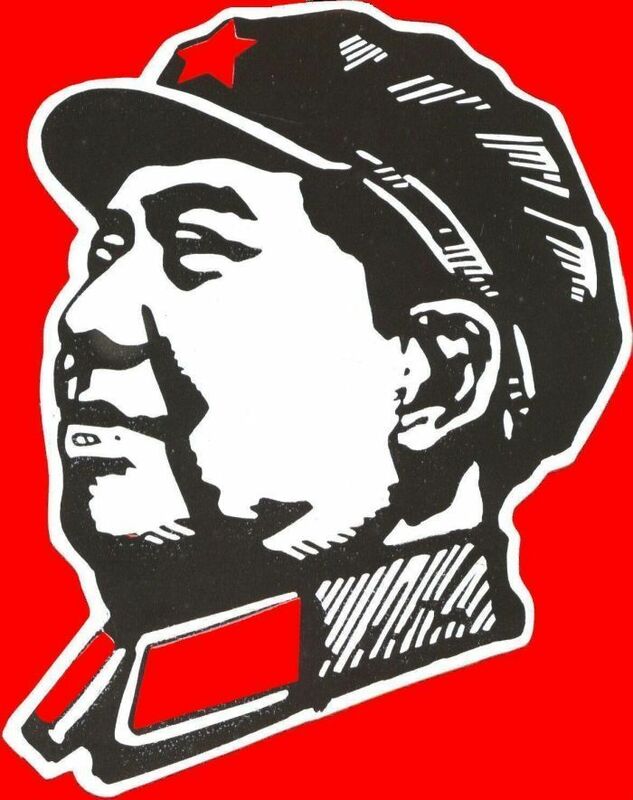 The reverse is printed, 'The World is Red, Follow Chairman Mao'. 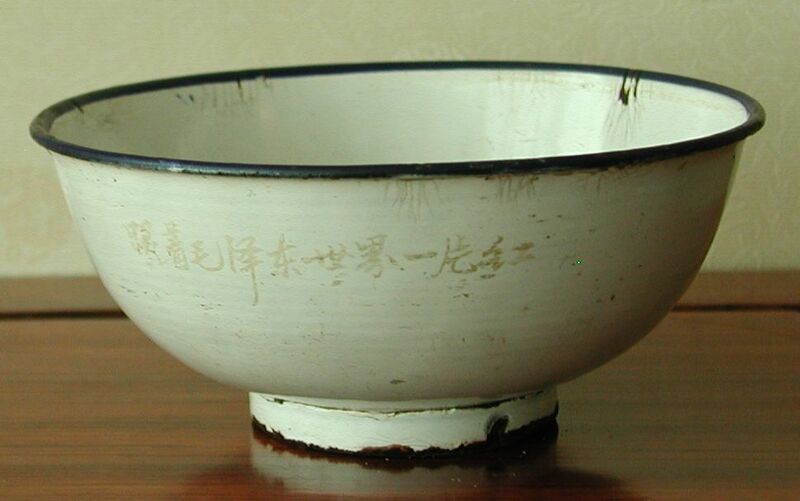 The bowl is 14cm (5.5 inches) in diameter and 6.5cm (2.5 inches) high and has a few chips as can be seen. 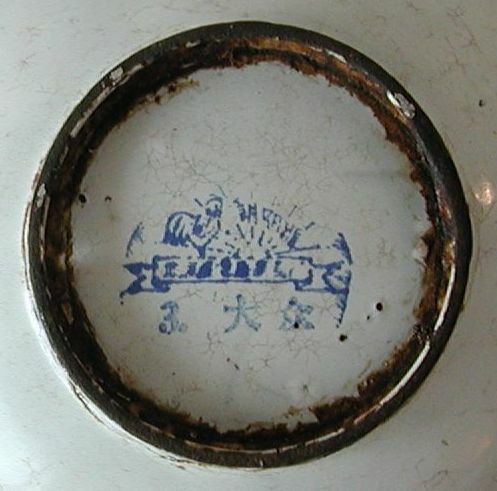 The bottom is marked 'The People' and 'The Rising Sun' with a picture of a rooster.